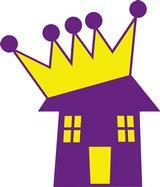 Prince Properties, LLC, is a small, independent brokerage which caters to referred clients. We believe people prefer to work with professionals who come highly recommended by their friends and family. We live by the "Platinum Rule" and treat our clients as they wish to be treated. Mutual trust, respect, and open communication are the cornerstones of a successful working relationship. We like to have fun through the process, and try to make this important time in our clients' lives as stress-free as possible. In addition to maintaining a sense of humor, continuing education is a high priority. We network with the top Realtors across the country to strengthen and improve our skills. If you want us on your team, please call. We would be more than happy to discuss your real estate needs and work out a game plan for your success.